You can't hide from it. Winter is coming. For some of us that means sitting by a fireplace with a nice mug of hot chocolate, watching the leaves change or the snow come down. For others it means squeezing feet into ski boots, getting bundled up in brightly colored snow gear, and tearing up a mountain on a set of freshly tuned skis. For others still, winter brings long nights, short days, and cold commutes on the bike. In each of these situations there is nothing worse than having cold, numb fingers and hands. 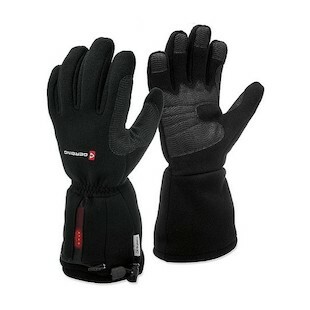 To address this problem, Gerbing has come out with the Women’s Core Heat S3 and Core Heat Fleece Gloves. The Core Heat S3 is a glove designed for women who enjoy active outdoor winter activities. These gloves are waterproof, dexterous, and durable, and will work to keep you warm when skiing, snowboarding, snowmobiling, or dog sled racing. The Gerbing Women's Core Heat Fleece Gloves are designed to keep you warm and ready for any winter adventures Mother Nature can throw at you. From walking the dog and going hiking to shoveling the driveway or piloting a light aircraft through a snowstorm, these gloves will keep your hands nice and toasty. Winter adventures are the best adventures, so get exploring! “But how do these gloves work when I’m skiing? I don’t carry a battery with me!” I can hear you asking. The Gerbing Women's Core Heat S3 Gloves (As well as the Fleece Gloves) use Gerbing’s new on-cuff battery and built-in heat controller. The battery is good for up to 8 hours of heat on the lowest setting, and has a maximum temperature of 135°F. Cold fingers are the worst, and with Core Heat, Gerbing is making heated gear available for for more than just motorcyclists. Don’t let winter weather get in the way of your activities and adventures; Gerbing has got the heat, now go and show winter who’s boss!